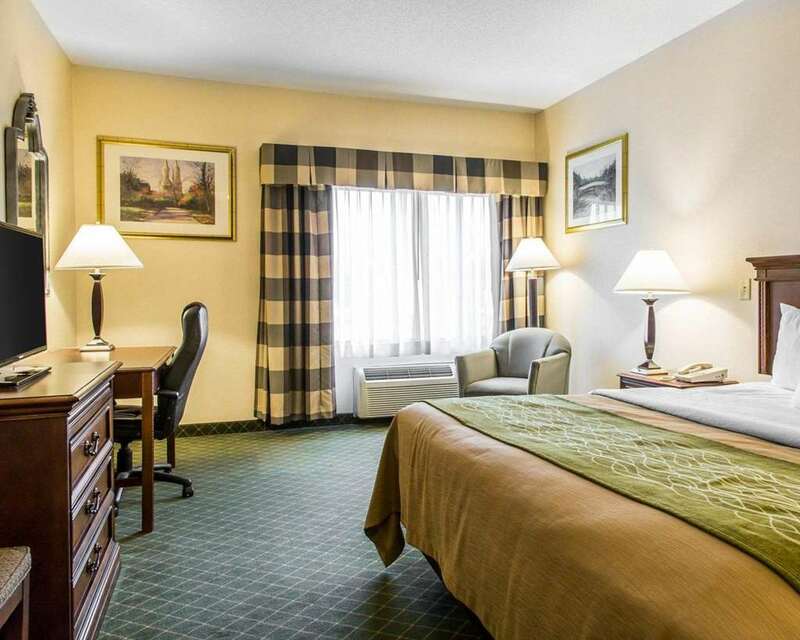 The Comfort Inn hotel in East Windsor, CT lets you rest, refresh and get ready for anything. We give you easy access to such points of interest as Bradley International Airport, Southern Auto Auction, XL Center, CT Convention Center, Six Flags New England and Naismith Memorial Basketball Hall of Fame. Get ready to take on the day with such amenities as free WiFi, free ample parking, free hot breakfast, business and fitness centers and an indoor heated mini-pool. Behind every great day is a great night in your guest room, which features a refrigerator, microwave, coffee maker, iron and ironing board. Also, earn rewards including free nights and gift cards with our Choice Privileges Rewards program.